It’s only a few days to go until Christmas! I’ve been stitching up some lovely gifts this year, but I have also been trawling Pinterest for some quick and easy project inspiration. 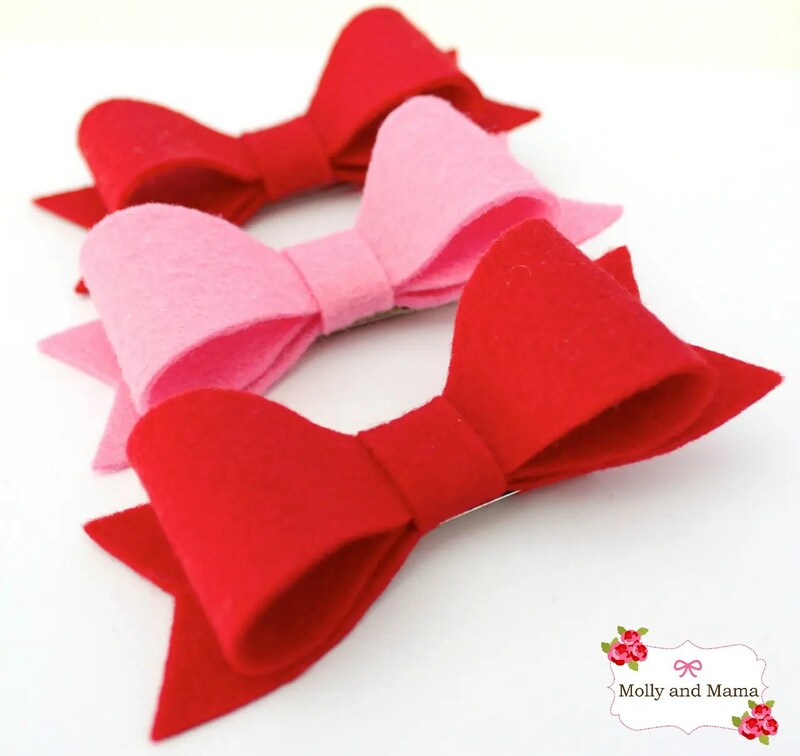 Lucky for me, I came across this wonderful free tutorial from Oliver & S on how to make felt bows. There’s even a free template to download. 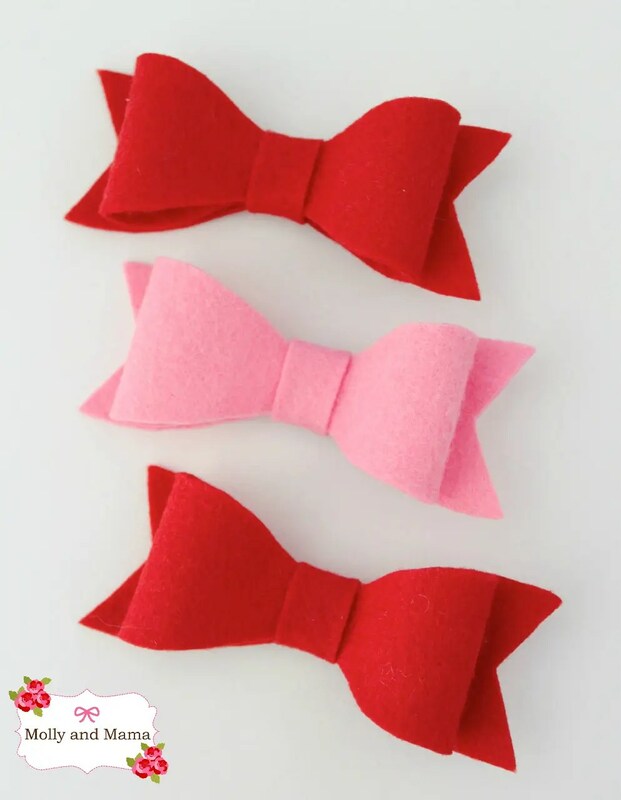 I followed Leisl’s instructions to create some plain bows in red and pink wool felt. I then attached the bows with some hot glue to hair clips lined with grosgrain ribbon. I just used coordinating colours. If you’re not sure how to cover clips, you can read all about it in my tutorial HERE. But this image also gives you the basics. These felt bows were SO EASY to make! 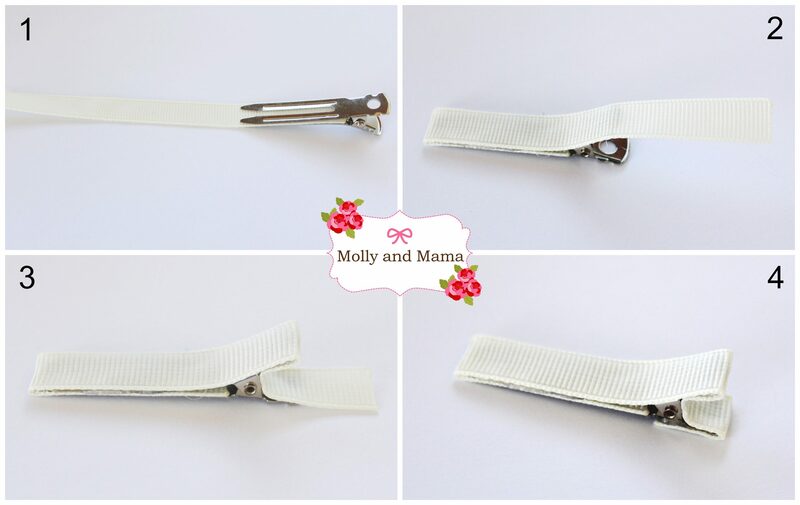 And if you didn’t want to create hair clips, they’d make a lovely addition to your Christmas wrapping too! In fact, I’m sure you could find a whole range of uses for them. For simple project ideas that are similar, be sure to check out the following Pinterest boards; Hair Accessories, Bows and Felt Fun. There’s lots of lovely inspiration! Of you might like to make this Felt Pear Pin Cushion. It was inspired by the ’12 Days of Christmas’ and represents ‘A Partridge in a Pear Tree’. Cute hey? Oh these are so, so cute! I want to make a whole rainbow of them!